Apple has been on a bit of a tear over the last couple of days, updating its lineup in all kinds of ways. Today has seen updates to the iMac as well as price drops elsewhere in the lineup. The iMac Pro, MacBook Air, and Mac mini all saw some action. Starting with the iMac Pro, Apple has added a 256GB of RAM option to the configurator. It isn’t cheap though – you’ll need to add an extra $5,200 to your budget if you want to max this thing out. 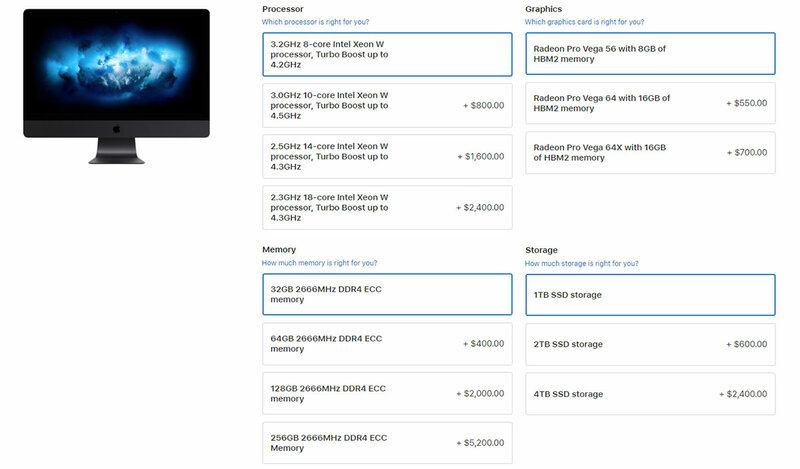 There’s also a new Radeon Pro Vega 64X option that comes with 16GB of HBM2 memory, all yours for $700. While none of this is cheap, there’s good news. The 64GB of RAM option has reduced in price form $800 to $400, and the 128GB option from $2400 to $2000. There’s more good news in the form of a $150 price drop on the Pro Vega 64 graphics card and a $400 drop on the 4TB SSD. In other news of price reductions, we have lower SSD pricing on both the MacBook Air and Mac mini. 1.5TB will now cost $100 less than previously if you’re specing out a MacBook Air, with $200 off a 2TB option in the Mac mini. It’s a similar story with the MacBook Pro, too, with $200 lopped off all of the 2TB SSD options. 4TB in a 15-inch MacBook Pro is now $400 cheaper than it was yesterday, too. Apple isn’t known for reducing its pricing in this fashion, so it’s great to see it happening. Now we turn our attention to tomorrow, with an updated iPod touch said to be in the works.